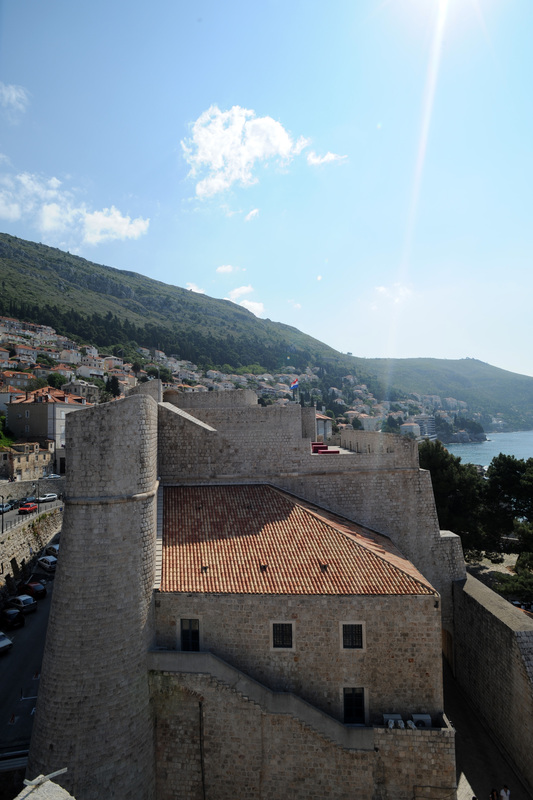 Located at the north-eastern end of the city, east of monastery of Dominican, the door of Ploče is the second large door of Dubrovnik. 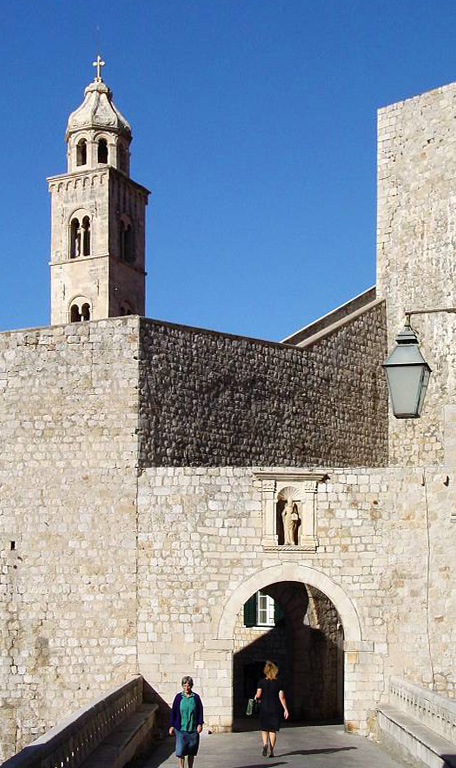 The Gate of Ploče is sometimes called Porte Saint Luke because of his proximity with the church Saint Luke. The door of Ploče is composed of the two interior doors, oldest, of Romance style, and a large external door which dates from the Austrian occupation. Smallest by the two interior doors head of Saint Blaise is surmounted. 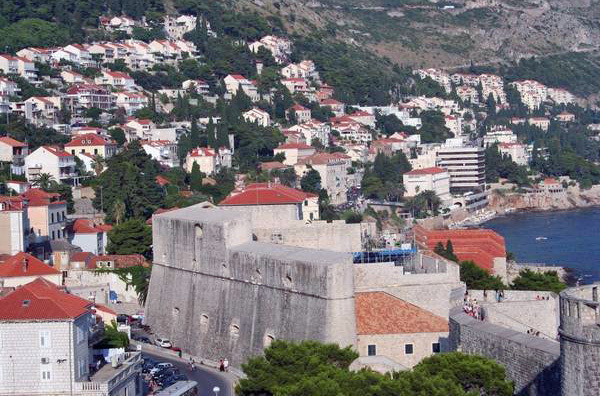 The door external of Ploče was designed and built in 1628 by the architect Mihajlo Hranjac. 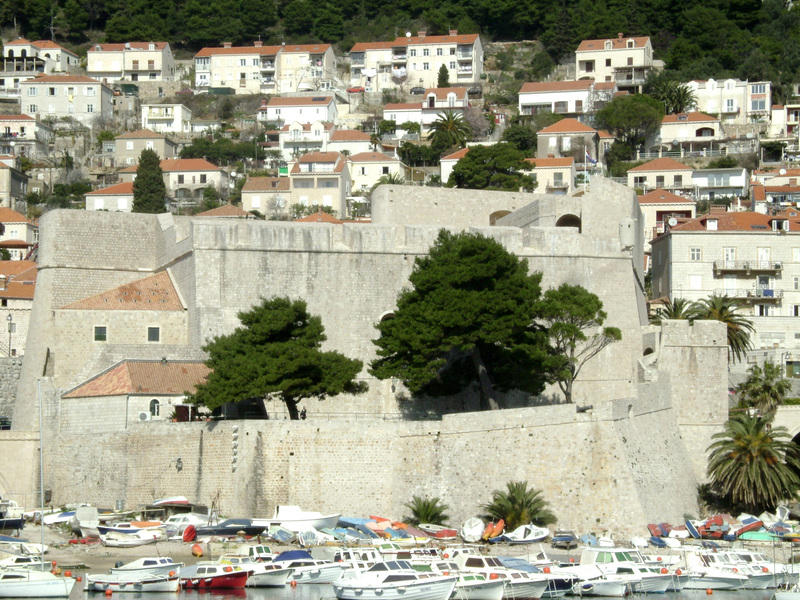 The door of Ploče is protected by the fortress independent of Ravelin, which is connected by a drawbridge out of wooden and a stone bridge to two arches spanning a ditch of protection. 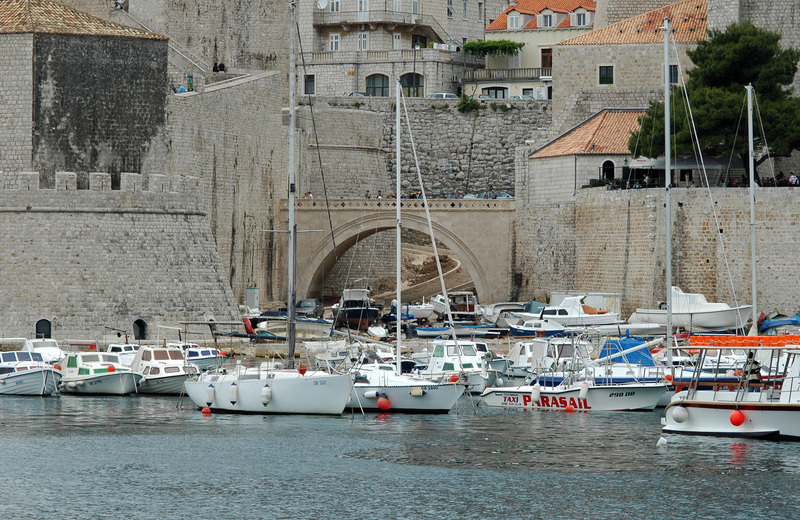 These two bridges of access to the fortress of Ravelin were built at the 15th century by Paskoje Miličević. 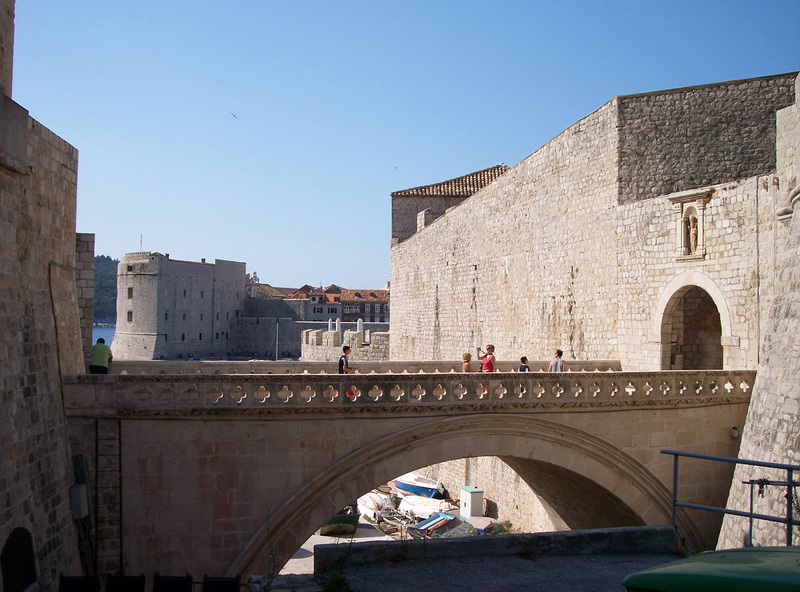 Miličević also designed the bridges of the Door of Pile, which explains the resemblances between the bridges of the Door of Ploče. 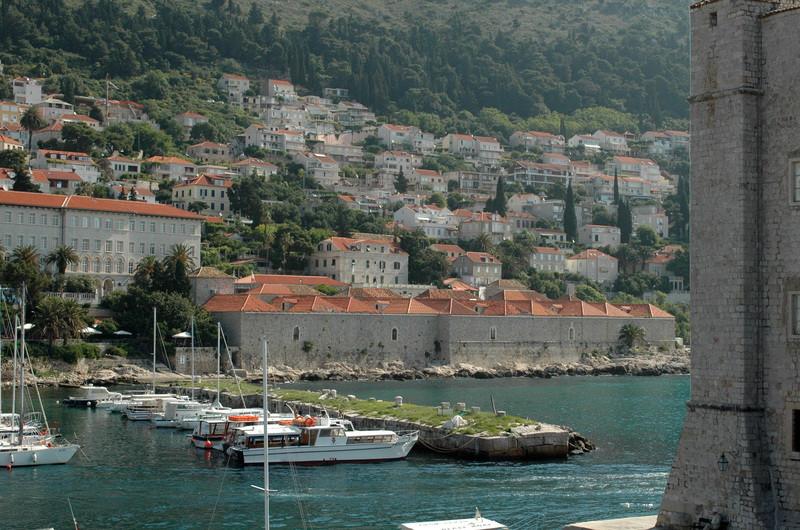 Above bridge, as with the Door of Pile, the statue of Saint Blaise is, the patron saint of Dubrovnik. The bridges, out of wood or stone, date from the 15th century and are similar to those of the door of Pile. Time of the Republic of Raguse, this door was a particular importance because it opened towards the east, towards the road of Ploče, from where all the caravans coming from Orient arrived. Just like the door of Pile, the changings of the Republican guard are ensured in costume of time during the summer. The interior door of Ploče is surmounted by strong Asimon (of Latin “Arx inter Moenia”, fortress between the walls), or Strong of Ploče (Tvrđava od Ploča), still called Timon at a certain time. The top strong Asimon, of triangular form, was built at the 14th century, when the Dominican convent was included in the walls of the city. It was reinforced in 1452, and the interior filled by means of stones and of lime. Ravelin (Revelin) is a large fortress, of asymmetrical quadrangular form, built out of walls, in the part is city, at the south-eastern end of the port, opposite the door of Ploče; it is a building monumental and impressive, with one on its sides going down towards the sea, and protected by deep ditches on the other sides. A bridge crossing the protective ditch connects it to the Door of Ploče and another connects it to the suburbs is. 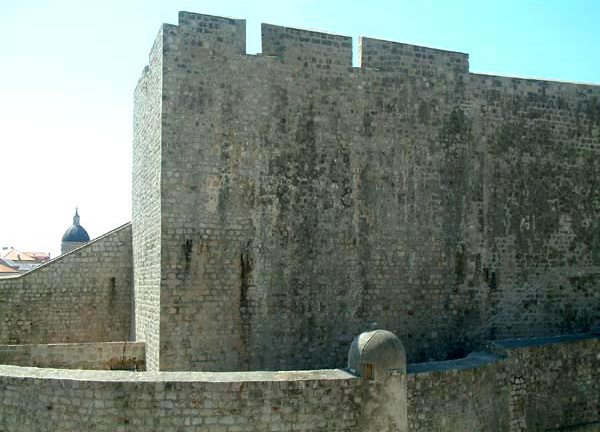 An angle of the fortress touched with the door of Ploče, forming with it the same complex of defense, intended to protect the terrestrial access from the city by the east. Definition: in military architecture, a ravelin (of Italian rivelino), or half-moon, is a work built opposite a door of the city to allow a better protection against an enemy attack; it constitutes, with the clipper located behind him, the elements of the traditional fortifications which one calls the outside. Indeed, isolated from the body of place a such island, the alternate ravelin with the bastions, to cross its fires with those. The fortress was built at the 15th century (1462), at the time where the Republic of Raguse was to face a serious Venetian threat. The danger of a Venetian attack had suddenly increased at times of the First Holy League, and it became necessary to reinforce this vulnerable point of the fortifications of the city. The Senate recruited Antonio (Antun) Ferramolino, a builder experienced of fortresses, sent to carry help to the city by the Spanish admiral Dorio, a faithful friend of the Republic of Raguse. 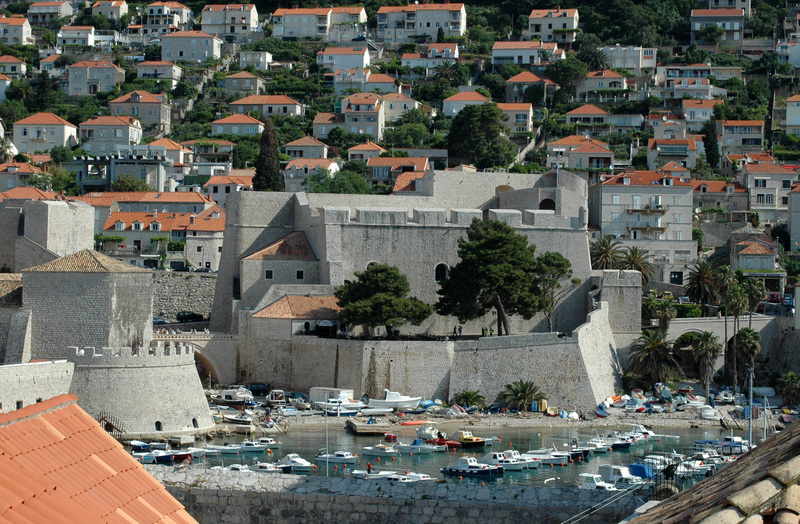 The fortress was built in eleven years at accelerated intervals, all the public building work, and most private building work which was in hand, having been stopped, so that the fortress is completed as fast as possible to reinforce the defense of the port and of the part is city, less well protected. After the fall under the Turkish yoke of close Bosnia, the fortress of Ravelin was increased at the beginning of the 16th century to resist possible attacks on behalf of those. In 1538, the Senate approved the drawings of new Ravelin, much more powerful. This new Ravelin became the strongest fortress of the city, protecting the terrestrial approach from the city by the east. The building work was carried so perfectly that the earthquake devastator of 1667 damaged Ravelin. 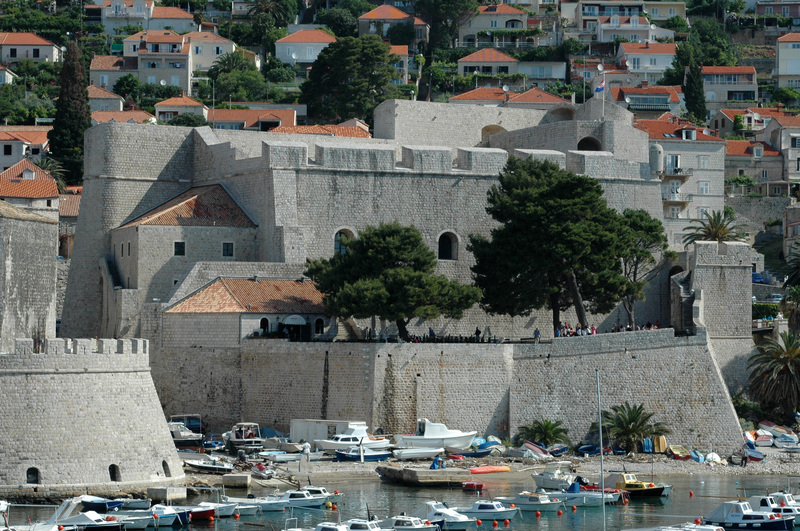 The fortress of Ravelin has arched big spaces and the largest terrace of Dubrovnik, so that following the example of the fortress Minčeta, it constitutes the ideal framework for the course of various manifestations of the festival of summer. 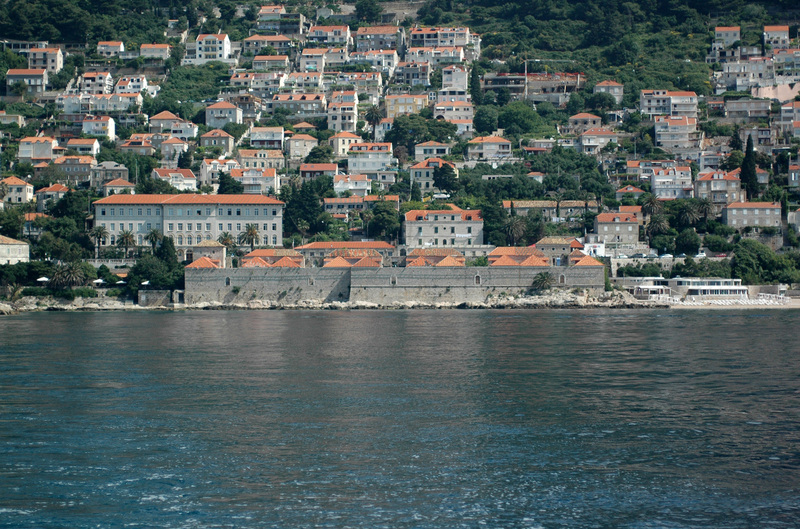 Beyond the door of Ploče, on the sea, the road skirts the old lazarets of the city, intended to protect Raguse from the epidemics drained by the travellers who arrived by caravans in the district of Ploče. These lazarets are a series of long aligned buildings, all identical, where the travellers remained during forty which were imposed to them out of fear of epidemics. The quarantine was obligatory, in particular for the great pestilential periods, the more so as the strong marketing activity of the city strongly increased the extension risks. 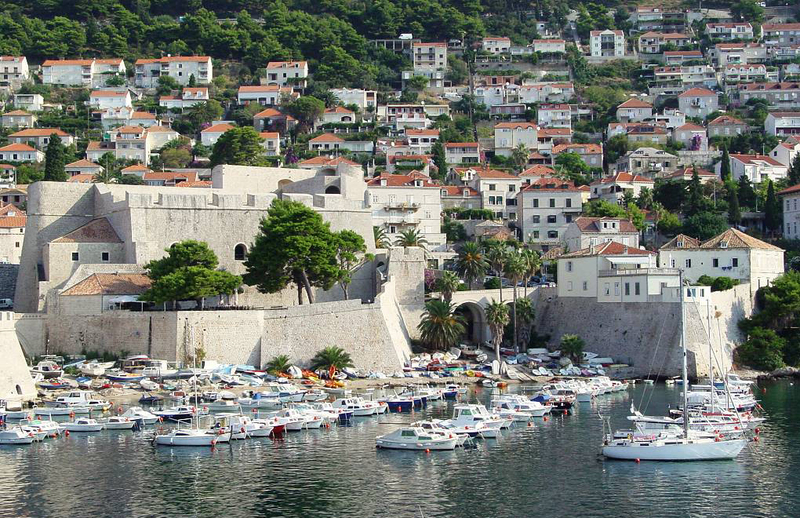 Today, Lazareti is one of the places most run by the youth of Dubrovnik. Indeed, the Association Art radionica Lazareti, which has also the Otok club, there stages many artistic events and Lazareti quickly became the theater of largest the free left the city, in particular for the evening of the St. Valentine’s day and the great festivals of the summer.